The Oregon Cattlemen’s Association (OCA) commends Oregon’s legislature in passing through HB 4093 which will grant land owners information privacy when entering into Candidate Conservation Agreements with Assurances (CCAA) through county Soil and Water Conservation Districts (SWCD) related to greater sage-grouse protection in Oregon. There has been concern within the ranching community, that signing onto a CCAA could make submitted information public and available to fall into the wrong hands. However, the Governor’s signing of HB 4093 would protect ranchers and landowners from such. Oregon House Representative, Cliff Bentz, brought the bill forward with the support of Rep. Whitsett, Senator Whitsett, the Governor’s Office, the OCA, the Oregon Association of Conservation Districts and Oregon chapters of the Audubon Society, and the Defenders of Wildlife. It passed the House unanimously in mid-February, and strongly in the Senate later in the month. With the House agreeing to the Senate’s amendments, it is now being prepared for the Governor’s signing. 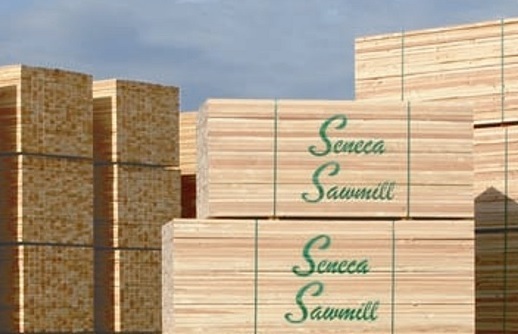 Seneca Sawmill Company is transforming the way timber companies operate. The Eugene-based company was recently featured in IBM’s national publication, IBM Systems Magazine, for its visionary leadership and use of technology to build a thriving, sustainable business. Founded in 1954, Seneca has continued to grow through challenging economic times for the timber industry, expanding to 650 million board feet of lumber per year—that’s 35 times its production in 1954. 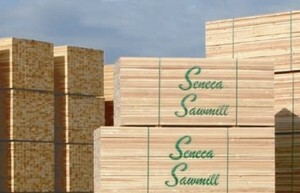 Seneca is now one of the largest timber companies of its kind in the United States. Originally started as a one mill operation, it has grown to four mills and now employs a multi-company structure that includes Seneca Sawmill Company, Seneca Jones Timber Company, Seneca Noti and Seneca Sustainable Energy. Food price spike: Who to blame & not blame. The “hot goods” abuse case against Oregon farmers by the Department of Justice has seen a victory in the courtroom on behalf of the farmers, and now seen more attention from national media. More recently this week an editorial in the Wall Street Journal. When conservatives argue that an overbearing regulatory state suppresses hiring and investment, doubtful liberals often say: Show us an example. Please meet the growers in Marion County, Oregon. In late July 2012, officials from the Department of Labor’s Wage and Hour Division visited Pan-American Berry Growers, B&G Ditchen and E&S Farms for spot inspections. Nothing out of the ordinary here. Labor enforces federal minimum-wage and child-labor laws and often conducts surprise investigations of farms, inspects payroll records and interviews workers. State Senator Herman Baertschiger (R-Grants Pass) commended Governor John Kitzhaber (D) for his help in efforts to re-open the recently shuttered Rough and Ready Lumber Mill.